Do you love a good Twitter Party? You know we do and we’re excited to host a party about how we protect the things we cherish! On FRIDAY, September 19th at 11:00 am ET, please join us for the #IAmProtective Twitter Party where we’ll be sharing tips and resources to help you protect the things that are important to you, and giving you a chance to win prizes! We’ll also be sharing information about a great contest and opportunity to help others during the party. My children are all adults now, but when they were young, we had plenty of Protective Insurance in case of unforeseen circumstances. I felt comfortable knowing they would be financially provided for if that need ever happened. Now I'm concerned about my own financial future as I am older now, and trying to plan for my later years. Join me for the #IAmProtective Twitter Party and share what you are protective of. 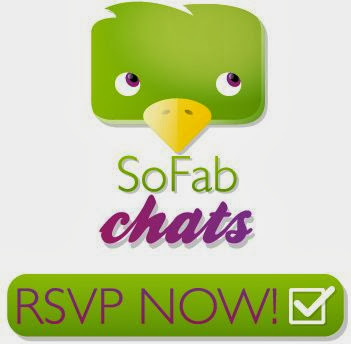 Join me and RSVP for the #IAmProtective Twitter Party on SoFabChats! TIP: How to win the Early Bird prize? Watch for chance to share a tweet when you RSVP for a chance to win!